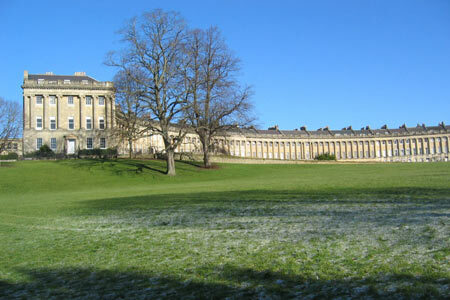 This linear walk starts from the historic city of Bath and finishes on the outskirts of Bristol. The route explores some of the country on the southern fringe of the Cotswolds between these two cities which has remained remarkably unspoilt given the proximity of urban development. The availability of good public transport makes this walk accessible without the need of a car. The first section follows the Cotswold Way as it leaves Bath.